1998. Los secretos de El Bulli, Los postres de El Bulli. 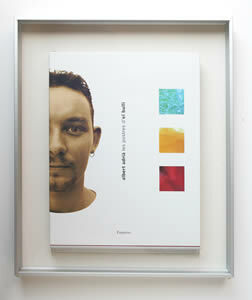 At this time, the only book we had published was El Bulli. El sabor del Mediterráneo, in 1993. This period, during which we were not to be found on the new release shelves in bookshops, was also when our new style, forged between 1994 and 1997, began to emerge. While our first book gave a rough analysis of what had constituted our cuisine up to 1993, this new style had become consolidated and so we thought it would be useful to "explain" it, by setting down in writing the philosophy of the new style of cuisine that was being created in elBulli. 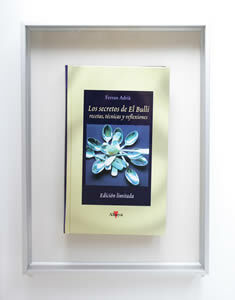 The result of this need and this intention was Los secretos de El Bulli, a book which marked a further step in our readiness to analyse our cuisine. A few months later, Albert Adrià released a further book, devoted this time to the sweet world, Los postres de El Bulli, in which the recipes were classified by techniques and concepts. This new milestone prepared us for the ambitious project which the General Catalogue represented a few years later.